Following a successful film festival run, "Soul To Keep" will be released across all digital rental and download platforms, on DVD and BluRay and On-Demand everywhere. The scary and surprising indie film starring Deaf Actress Sandra Mae Frank in a stellar ensemble cast is available in the U.S. on April 2, with closed-captioning (CC) where available for the hearing impaired. In this taut and unsettling horror/thriller, Beelzebub, an ancient demon hell-bent on consuming and possessing souls, preys on Millennials at a rundown country house. With an agenda that spans thousands of years to bring Hell to Earth, this Prince of Darkness has finally arrived. The film co-directed by David Allensworth and Monière has won the Best Female Actress award at the Other Worlds Austin for deaf rising star Sandra Mae Frank’s portrayal of Tara. "Soul To Keep" was also nominated for Best Picture at the HorrorHound Film Festival, which coincides with the largest horror convention in America. 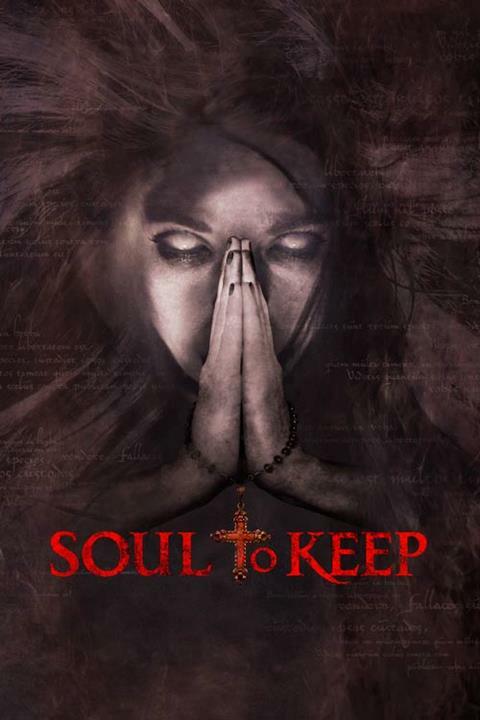 Besides being a high concept demon possession tale with stout performances and surprise twists, "Soul To Keep’s" core appeal is the Deaf aspect organically incorporated within the storyline. It’s not so much that the lead character in the film is deaf, it’s the fact that the hearing characters use sign language to communicate with her. By doing so, with authenticity and a natural flow, it shows how a social group of both hearing and deaf can exist as one while, at the same time, adding tension to the unfolding story. Set against the chilling countryside of upstate New York, "Soul To Keep" showcases an ensemble Millennial cast composed of eight up-and-coming actors: Sandra Mae Frank (Tara), Aurora Heimbach (Erin), Kate Rose Reynolds (Grace), Tony Spitz (Josh), Craig Fogel (Freddy), Jordan Theodore (Brandon), Derek Long (Toby) and Jessie Jordan (Kimberly). Called “bloody, disturbing,” “beautifully crafted” and a “slick, atmospheric picture”by horror bloggers, Soul To Keep possesses an unexpected clever ending that will surprise the most demanding genre fans. Soul To Keep is a Shady Tree Films and Cineque Pictures production. Directed by David Allensworth and Monière. Written by Eric Bram and David Allensworth. Produced by Patrick Kendall, p.g.a., Monière, David Allensworth, p.g.a., and Matt Meyer. Co-Produced by Bears Rebecca Fonté and Rachel Morgan. Cinematography by Eric Giovon. Sound Design by Angelo Panetta. Music Composed by Irv Johnson. Editing by Ray Chung. Production Design by Lisa Ramsey. Visual Effects by Carlos Aldana. The film is repped by sales agent Taylor & Dodge. David Allensworth’s storytelling circles around how we connect to characters and stories resulting in positive changes, enlightenment and an opportunity to escape. From surprise plot twists, to secret character motives, to authentic situations turned upside down, he infuses his visionary “gotcha” style with every film, series, screenplay, and pitch he’s been involved in. “Soul To Keep” marks his first feature film, and it is a perfect reflection of that style. Though he maintains an office in Los Angeles for his production company Shady Tree Films, he makes New York City his home and finds it to be a hotbed of culture and characters, all of which inspire his storytelling. He is a member of the Producers Guild of America. Monière’s storytelling is significantly influenced by his upbringing; born in Kandahar, Afghanistan and raised in Flatbush & Bensonhurst, Brooklyn. He comes from a lineage of Sufis and healers, strong believers in metaphysics and the unknown. “If angels are real, why can’t demons be real,” Grace, Soul To Keep. Every project he attaches himself to must raise the collective consciousness of humanity as a whole, creating a morphic resonance. Monière formed his company in 1999 during grad film school. He merged the words Cinematically & Unique, to form his company name Cineque Pictures. He lives in Midtown Manhattan with his wife and baby son. For more information and updates about Soul To Keep, please follow them on Instagram at @SoulToKeepMovie.